Is poker rigged? It is a common myth that weak or poor players use as the reason for their endless losses. These kinds of players claim that the game is rigged when their flush loses to a rivered full house or when they lose a set over set hand. Other players believe that the online poker rooms create specific action hands to increase the size of the pots with the aim of making more money in rake. For example, if a player gets dealt AA and another receive KK in a cash game, there is a high probability of both players achieving an all-in pre-flop. It creates a sizeable pot from which the online poker room gets a decent profit. Some players believe online poker rooms do this intentionally to increase their profits and that the deals are not random. The discussion explores myths that lead players to think that online poker is rigged and whether it is true. 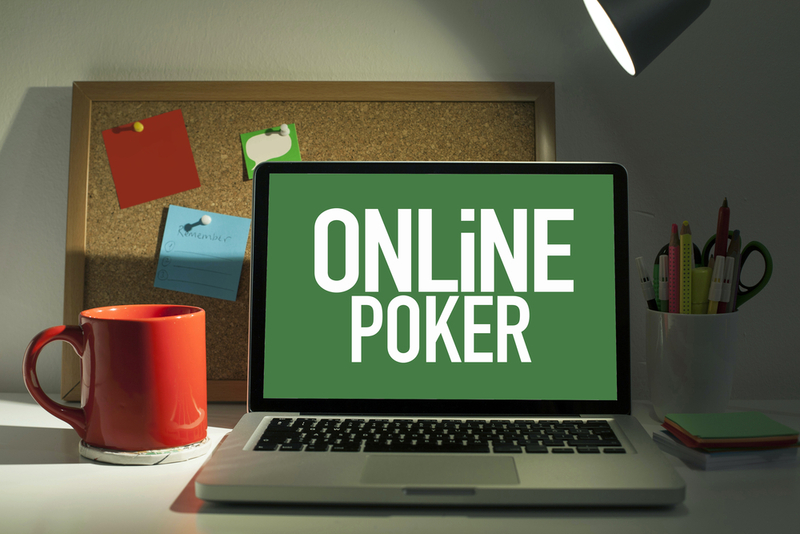 Beginners who are accustomed to playing offline poker at home are overwhelmed by the accumulation of high-quality hands in online poker. For such players, quads, straight flushes and a full house are exceptional hands players can only achieve through rigging. Such players are oblivious of the fact that a home-based game plays 30 hands per hour compared to an online poker game where the hands are twice as fast. As such, while beginners play one table at a time, an experienced player multi-tasks plays up to 12 hands per hour thus, he or she is more likely to get 12 times more full houses, straight flushes and quads. Players who lose as a result of a bad bet claim that the poker room is generating action by assigning strong hands to particular players. A lousy bet does not always mean that the player had a weak hand; on the contrary, some players lose even when they have a strong hand also, referred to as a set-up. It occurs when a player who believes to have a strong hand dips all his chips, hoping to win but loses to a better hand, causing him to feign rigging. Rigging is hardly possible in poker room because online poker relies on random number generator software to generate results and action. An independent audit firm for transparency regularly verifies the RNGs. What’s more, players analyse and store hand histories using built-in statistical software. 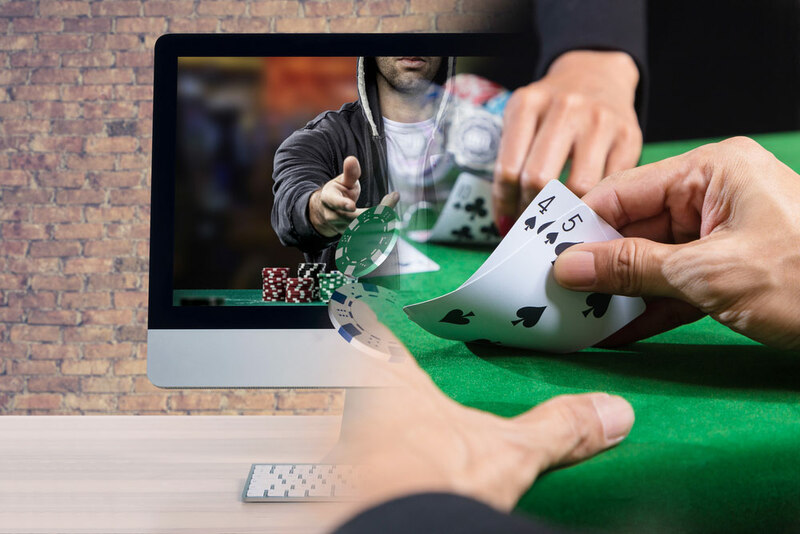 Any unusual activity can be detrimental to the online poker room and site in general as it relies on the player’s confidence in the software. No poker site wants to damage its reputation by altering the software. Additionally, during poker tournaments like Sit and Go, the poker room obtains the fee in advance hence, providers barely benefit from generating more action except during instances where the player busts early. Most online players will take on a tight aggressive strategy when playing poker. Therefore, when such a player gets a strong, playable hand, he collects more than just the blinds, which is a high risk. He then decides to put all his aces on the table to trap other players. This strategy causes him to lose every second time. Since it is hard to fold pocket aces post-flop, the probability of losing all his chips is higher when he adopts this playing style. Players who lose monies after cashing out their winnings cite that the casino is rigging. It is another unfounded myth as there is no association between withdrawals and board cards. Generally, poker rooms have master accounts and poker accounts thus when transferring money, you have to move it from the poker account to the master account. Since there are other sites where players can wager their payments, it is difficult for the online poker site to trace how the player uses his monies after withdrawal. We can confidently disregard the assumption that poker is rigged. Players only need to employ the right strategies when playing the game and understand the outcomes of each strategy used. Luck (if there is any) is just useful in the short-term. The use of RNG software and built-in statistical software for players provides adequate proof that poker is not rigged. 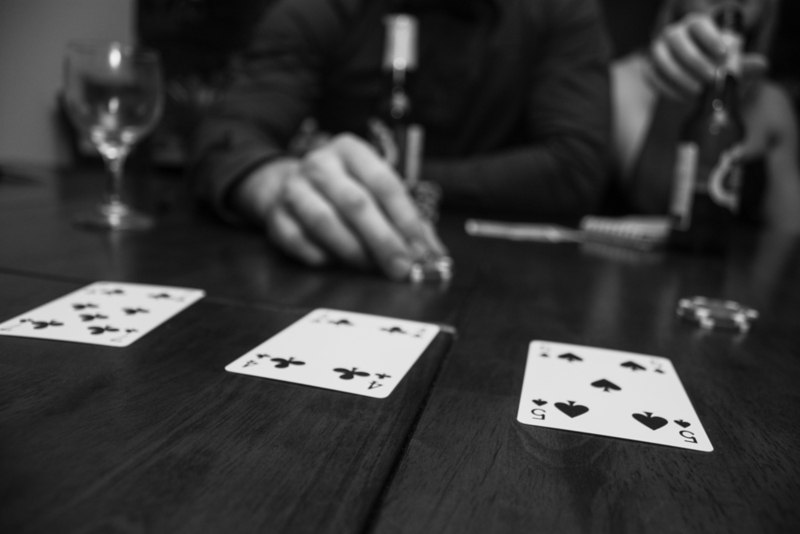 The game of poker has just a few simple rules, but it can be fiendishly complex to play. The big challenge of poker is working out what to do in the absence of vital information. You cannot see what is in your opponent’s hand, and you cannot know which cards will be dealt next. Some expert players succeed against the odds, even though so many factors remain unknown. It’s not just the element of strategy that experienced players bring to the game, it’s also their grasp of human psychology. They can read a range of tells, and they can bluff other players, while calculating the odds of each hand. Even in online poker games, professional players can interpret a host of subtle signs to evaluate the strengths and weaknesses of the opposition round the table. For a long time, it was thought that artificial intelligence, or AI, could never match the skill and sophistication of professional poker players. It seems now, however, that the power of AI is beginning to challenge the supremacy of human players after all. Scientists have been working on a new poker AI that is designed to learn from its mistakes. It is called Libratus and was created at Carnegie Mellon University with the aim of figuring out how to beat human players at no-limit Texas Hold’em poker. This popular poker variety was chosen because it blends short term calculations with long-term strategies in a highly complex way. Human players make decisions such as how much to raise, or when to bluff, in ways that are not necessarily logical, and therefore very hard to predict. Libratus was programmed to play against itself and review its performance. This way, the system’s skills and strategies are designed to evolve gradually and continuously, making it better and better as time goes on. In recent trials with some of the best professional players in the world, Libratus achieved a decisive victory over its human opponents. What is Libratus AI, and what can it do? Computer programmes for poker players have been around for a long time, but the Libratus software takes AI to a whole new level. Its secret lies in the ability to deploy several technologies simultaneously over the course of a tournament. 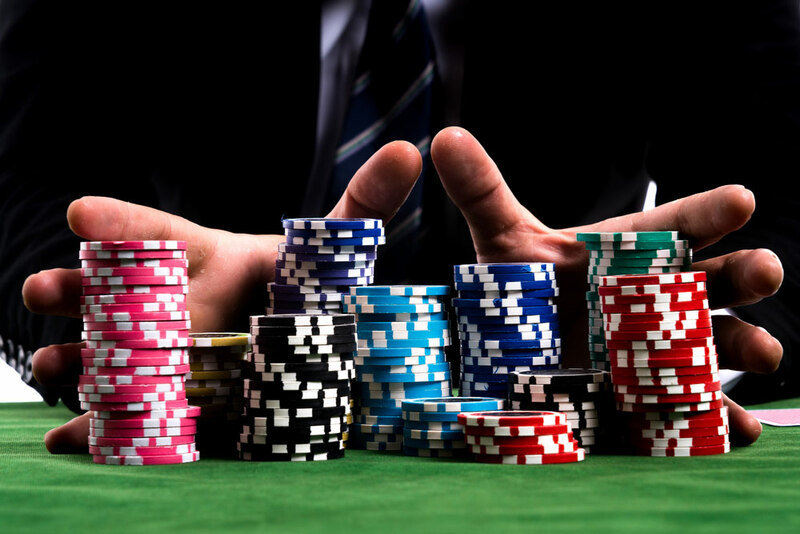 One system will calculate the strength of the player’s hand at each round of play, while another will devise end-game strategies to improve both the chances of winning, and the value of the chips that are won. Combining these different types of software, and a facility for reviewing and learning from past hands, gives the Libratus software an edge over human players. Is it possible to play online poker with Libratus right now? You might think that Libratus would be an ideal tool to use when playing online poker. Who wouldn’t want to use a very smart AI package that can beat the world’s best poker champions? The truth is, however, that the Libratus software has a great deal to offer at the theoretical level. It could be used to devise training aids, for example, which could help players analyse their weaknesses and improve their skills. Unfortunately, at the practical level, this sophisticated software is not coming to an online poker platform anytime soon. The astronomical computing power required to run the software makes it far too costly for anyone operating outside major research computing labs. Also, the use of software for online poker in the UK is governed by strict rules, for obvious reasons. It remains to be seen what future developments will emerge from the work on this programme so far, but it is likely that applications in other areas of complex decision making will follow very soon. For now, you can’t play poker with or against Libratus, but it’s still an awesome achievement that demonstrates just how smart poker AI has become today. When online casinos first hit our screens over two decades ago, some gamblers were skeptical. They believed that a computerised version of poker or roulette could never capture the atmosphere that you get in a land based casino. How wrong they were. This list is by no means exhaustive, but it does represent what for many gamblers are the key motivations for choosing online poker over a game in their local establishment. Unless you are lucky enough to be able to fly to Macau whenever you want to have a flutter on the roulette wheel, if you do not gamble online you will be limited to your local casinos. Walk through those doors and you will see the same faces every time: poker players making the same moves, and the same old talk around the table. For some gamblers, this is part of the charm of a land based casino, however online casinos liven things up considerably by giving games an international flair. When you sit down at the poker table in a virtual casino, you will be playing against gamblers from right across the globe. And if you want to switch things up and play with a different crowd – just log on to a new casino. …and it seems that new kinds of bonuses are being invented every month. From creative graphics that let you play poker with wizards to live dealer games featuring casino staff dressed up as characters from your favourite film: online casinos know how to have fun! Only a very few of the top international land based casinos will be able to provide you with as many different casino games in one place as online casinos do. Whether you want to spend 5 minutes with a scratch card, or sit down for an intense game of Crazy Pineapple Poker, play roulette with the best, or while away half an hour on the video slot machines, you can move effortlessly between both modern and traditional casino games when you choose to play online. 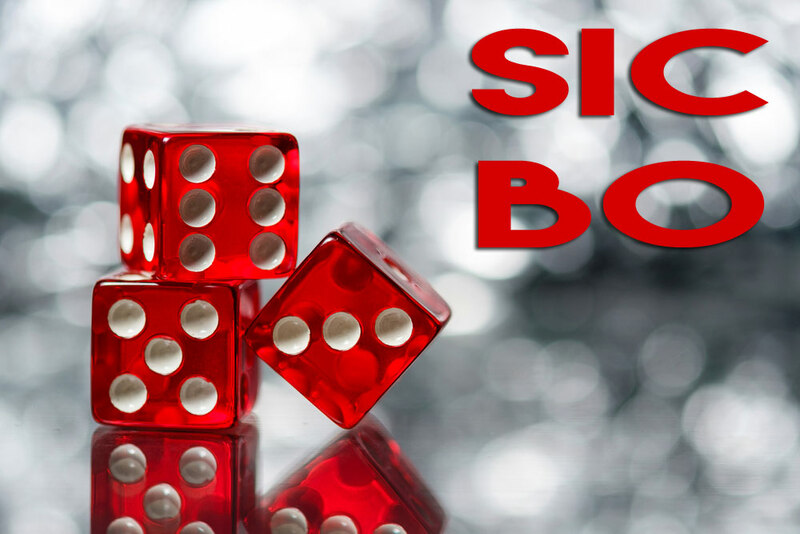 We have plenty of articles explaining the rules of different casino games (including Pineapple Poker and all of its variants, and roulette), so do check them out if you want to brush up your knowledge. Virtual reality technology, video streaming, and an element of social networking (think 3D avatars which enable you to pull up a seat at the casino’s virtual bar with your fellow gamblers and enjoy a whiskey or two after a game) all make online gambling exciting from a technological point of view. Online casinos have now moved way beyond simply replicating the immersive, three dimensional atmosphere that you can soak up in a land based casino. Nowadays, online casinos are achieving feats that quite simply can’t be achieved in ‘real life’. Technology is opening pathways that we couldn’t have believed possible in our wildest dreams when we were sitting in those little local casinos three decades ago, waiting (though we didn’t know it at the time) for online gambling to arrive. This discussion of live vs online poker will at least have provided you with some food for debate. Perhaps it is time for land based casinos to show us what they are made of, and to start trying to match online casinos in terms of innovation and international outlook. When playing poker, it is important to be aware of the total value of your chips. One method of doing this is through the independent chip model. Whilst you may have heard of this term, what does this mean and how does this calculate the total value of your chips? And more importantly, what does this mean for your poker game and how might you use it to your advantage when you are playing in a tournament game? At a basic level, the independent chip model (which is sometimes known as the ICM poker term) is a method which any player can use to calculate exactly what their chips are worth in a poker tournament game. In a tournament game, calculating the total value of your chips will depend upon two important factors. Firstly, the value of the chips depends on the total number of chips which are in play at that particular time point. Secondly, the total value will depend upon the distribution of the total prize pool within that game. Where a player has a certain number of chips, the relative value of those chips will be higher when the total available prize pool is a low number. For example, when a player holds 50 chips from an available total of 500, their chips are worth more than when the total prize pool available is a much larger total of 5,000 chips. Secondly, the prize structure itself can also affect the total value of a player’s chips. For example, if a player holds 50 chips from an available total of 500 and is within a tournament of eight remaining players, where only the winner is paid, then the 50 chips will only have a low value. This is due to the relatively low chance of the player winning the overall tournament. However, if there were still eight players left in the game and the prize structure of the game provided equal payouts for the first seven players, then there is a greater chance of winning money and the player’s chips are therefore worth far more money than they are in a winner-takes-all scenario. The independent chip model can however work out your prize pool equity in a given scenario. So how does the independent chip model calculate the equity value? The independent chip model uses both the payout structure and the total stack size of all the remaining players within the game to work out the probability of each player’s finishing position. This is then multiplied with the payout for each of the finishing positions. For the player in first place, the probability is calculated by dividing the number of chips by the total amount of chips which are in play. Whilst this is simple calculation for the player in first place, the probability of finishing second, third and lower relies on a series of complex mathematical calculations, where to calculate the probability of finishing tenth or lower requires millions of steps to arrive at the correct value. Although the underlying mathematical calculations are very complicated, there is an excellent variety of ICM calculators online which can be used by players and require the player to provide simple values. So why is the independent chip model important and how can it be used to your advantage within a tournament game? Although the ICM can’t be used at the table, players who have an underlying knowledge of the model can improve their game by training and therfore getting into the routine of reacting to situations in the most advantageous way possible. Most players find ICM to be particularly useful when they are in bubble situations and need to calculate whether they should risk their chips. In other words, this can help a player decide whether they should call, or fold. Rather than concentrating on the number of tournament chips which can be won by calling in a bubble situation, the independent chip model calculates whether calling will increase the value of the prize pool equity by assessing whether this strategy is likely to be advantageous in the long run. 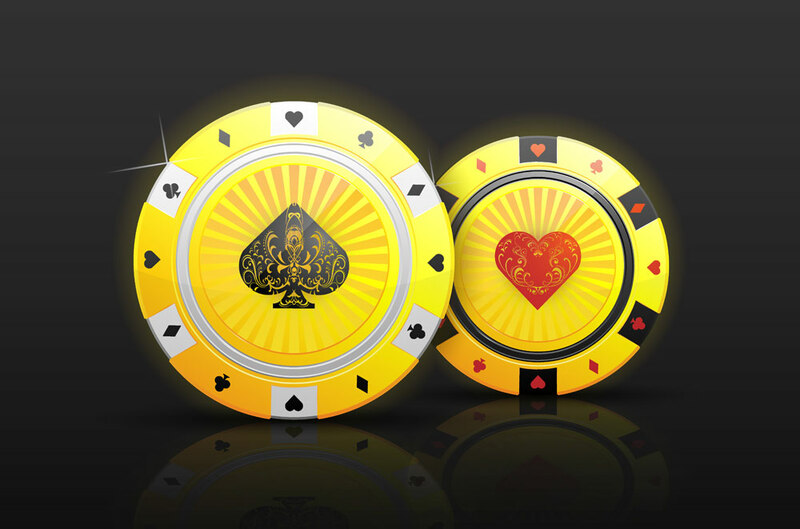 The player is given a percentage value of equity which can be used to indicate whether the stack will increase, or whether the player will instead completely lose all of the chips, in a particular tournament situation. In a bubble situation, this percentage value can be used to show the player if the total prize pool equity actually decreases by calling. If this is the case, then a player should fold, but if the total prize pool equity instead increases by calling, then it is more advantageous for the player to call. Whilst ICM is an excellent tool when used correctly, it is important that players keep in mind that ICM can’t mathematically account for other important factors including luck, or the skill level of the other players around the table. However, the independent chip model can be particularly effective when used against novice players who do not yet have a full understanding of what their chips are actually worth in the long run. 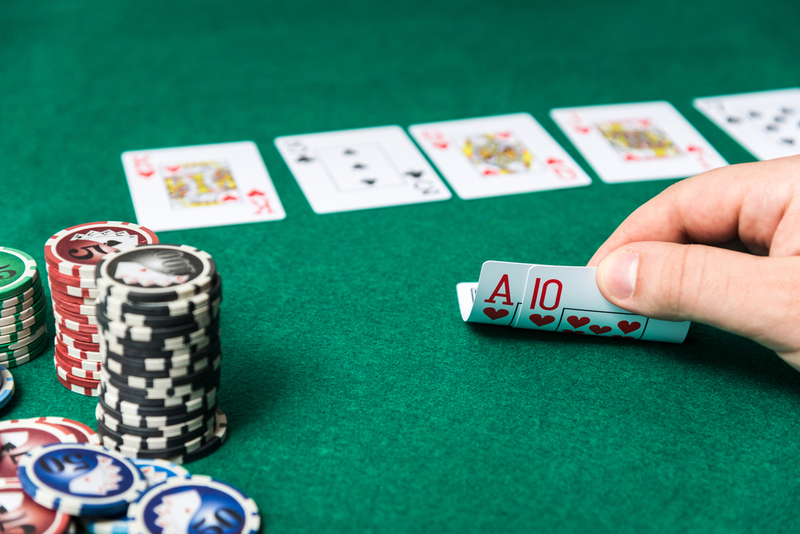 Now that you are aware of the ICM poker strategy, why not try it in your next tournament game? April 15th, 2011, a date dubbed ‘Black Friday’ in the world of online poker. It was a day that halted online poker gambling in the United States, halting the poker boom that had started in the early 2000’s. On October 13th, 2006, U.S. Congress passed the ‘Unlawful Internet Gambling Enforcement Act of 2006’, which made it an offense, punishable by up to five years in prison, for a gambling business to “knowingly accept” payments “in connection with the participation of another person in unlawful internet gambling. Whilst this did not prevent players from playing online poker, it did make it an offense for businesses to transfer money to and from gambling sites. Whilst some companies pulled out of the U.S., others such as Full Tilt Poker and Pokerstars remained, allowing players to deposit and withdraw money whilst playing online poker. There was no specific mention of online poker when in the Unlawful Internet Gambling Enforcement Act. More specifically, it only mentioned online sports betting. It was this that formed the basis of the defense for companies involved in online poker gambling. Following the indictment some 5 years later, any profits made by the companies after the law was passed were determined to have been illegally gained. The Day Online Poker Died. On the afternoon of the April 15th, 2011 reports of the indictment and civil complaints began to circulate. As well as being charged under the Unlawful Internet Gambling Enforcement Act, there were additional charges of money laundering, bank fraud, and illegal gambling, which served to reinforce the gravity of the situation. Restraining orders against 75 bank accounts used by the poker companies, and the seizure of five domain names brought an abrupt end to the world of online poker in the U.S. Black Friday Poker in the U.S. left players either locked out of their accounts or only able to play for fun and not real cash. Over the coming days and weeks, there was uncertainty amongst U.S. players as to whether they would be able to withdraw the money they held with the online poker companies. In the meantime, some of the online companies continued to operate under a .eu domain name to all but American based players. Full Tilt Poker was suddenly shut down worldwide after their gambling licence was suspended by the Aldernay Gambling Control Committee. September brought the biggest shock of all to the online poker community after Full Tilt Poker was alleged to be a global Ponzi scheme, with its owners defrauding players. The deception is believed to have gone even further than just the online poker sites, there were claims that small banks accepted monetary bribes for their part in the deception. The controversy that followed Black Friday resulted in a massive monetary loss. TV channels and tournaments in the U.S. lost sponsorship deals, and billions of dollars of player’s money was left in limbo. With the online poker sites no longer available, professional players were forced into using unreliable black market sites or risky live games. Absolute Poker co-founder Brent Buckley pleaded guilty to misleading banks. He was sentenced to 14 months in jail. John Campos pleaded guilty to one charge of a gambling misdemeanor. He was sentenced to three months in jail following his involvement in Pokerstars and Full Tilt Poker. April 15th, 2011 saw the Department of Justice cripple a stable and growing market in a matter of hours. Since then, the world of poker has never been the same. Six years on from Black Friday, online poker sites in the U.S. remain modest with players having limited options restricted to just three states. Serious professional poker players who play for a living have long since realised that in order to be able to play poker online, they will have to go abroad. Those that remain have moved over to the live realm. Since Black Friday, bricks and mortar casino’s have seen a sharp rise in poker players and have thrived as a result. Computer scientists have been testing the realms of artificial intelligence by pitting it against humans. They have been successful in creating programs that are better than humans in games such as backgammon, go and chess. Poker, however, is one game that AI experts have been unable to crack, until now. Libratus, created by Professor Tuomas Sandholm of Carnegie Mellon University and his computer science Ph.D. student, Noam Brown, is the first AI software to beat the world’s top professional poker players. The 20-day tournament started on January 10 at the River Casino, Pittsburgh. Four of the best online poker players in the globe went against the Libratus poker playing application to test its ability. 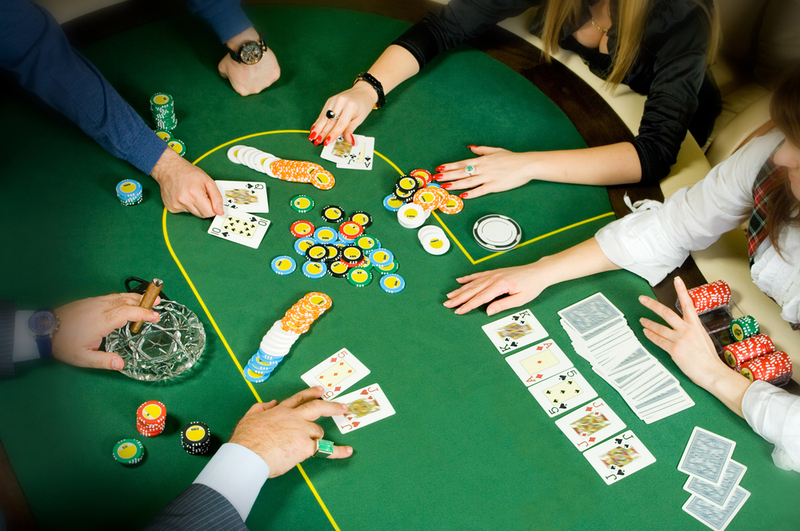 Poker playing algorithms have been difficult to perfect because poker is considered a human-oriented game. It is characterised by what is called imperfect information, meaning the software doesn’t operate with all the facts. Players don’t have the luxury of seeing each other’s hands in poker, unlike games such as chess or checkers where everyone has a view of the board. Then there is the deception involved in playing online poker. Players use misleading information to get reactions from their opponents. Artificial intelligence doesn’t have the means to detect and interpret bluffs. Tuomas Sandholm cited this as one of the biggest challenges for AI researchers. Even as Libratus entered the 2017 “Brains Vs. Artificial Intelligence: Upping the Ante” competition, experts did not have a lot of expectations for it. Sandholm and Brown had another application in 2015 that lost in the same tournament. The two researchers spent the time to enhance the capabilities of the predecessor, Claudico to create the superpower poker AI, Libratus. Heads Up, no-limit Texas Hold’em was the game and the humans lost by a combined $1,766,250 in chips, luckily, they were not playing with real money. Libratus had received improvements to its algorithm on how to interpret imperfect information, not to mention the fact that it had a higher computing power than the original software. It was developed with strategic reasoning, which enabled it to analyse moves and come up with tactical responses. Sandholm explains that he did not teach it how to do that. He just gave it the rules of playing poker, and it had to learn the rest. When an AI beats no-limit poker players by such a sizable margin like Libratus did, it forces professionals to analyse its strategies to learn a few things. One lesson was the aggressive approach of the program to the game. Libratus was willing to make big bets for small prizes. Of course, such moves would be suicidal for human players, but the tactic does provide some advantage. It requires players to remain alert to what the machine will do next. Libratus was playing eight hands in total with each player holding two. It played at a slow pace and an even slower one on small pots. With more chips still in hand, the program had more possibilities to consider, hence the deliberate speed. The software does play a different version of the game, though. Instead of matching a group of players to a single computer, the machine only gets one. After every hand, the system resets the number of chips so that one player doesn’t end up with a huge stack of chips. Another huge factor that plays into the whole debate is that a poker AI program doesn’t have to rest like normal players. For example, in the tournament that lasted the better part of a month, the human participants went on until after 10 in the evening, which means they needed plenty of rest for the next round. As the humans took breaks to eat and sleep, Libratus was busy analysing the players’ strategies and perfecting its algorithm using the computer at the Pittsburgh Supercomputing Center. The news of AI beats no-limit poker is not just significant for the gambling world but other industries as well. Poker playing artificial intelligence should prove useful in sectors such as business and healthcare. The algorithm that allows the AI to make decisions using imperfect information can help companies in negotiating deals and medical practitioners in recommending treatment plans. Poker bots are not a new concept, but they have not been very effective before. Most of the applications on the market have only been good for low stakes games. With the success of the Libratus poker playing software, professional players may have something to be worried about like the fact that the bots may ruin real money online poker. However, with the right application, they could prove profitable for casino operators.